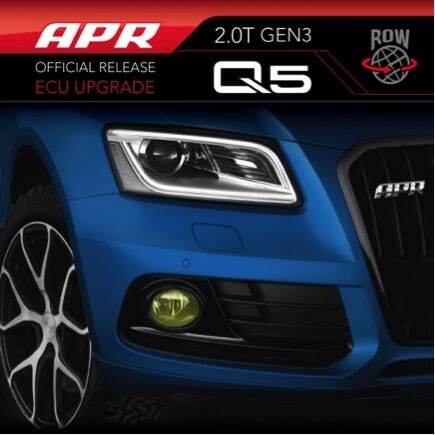 APR is pleased to present the ultimate engine control unit (ECU) upgrade for the Q5 2.0T EA888 Gen 3 engine. The APR Stage I ECU Upgrade is the first step towards making more power! This simple upgrade requires no engine hardware modifications, and produces 288-299 HP with 363-374 FT-LBS of torque depending on fuel grade. Gains as high as 66-75 HP and 93-104 FT-LBS of torque are available throughout the power band, depending on fuel grade and factory output, making the vehicle exceptionally quicker in all scenarios. Also fits the ROW Market A4, Allroad and A5.